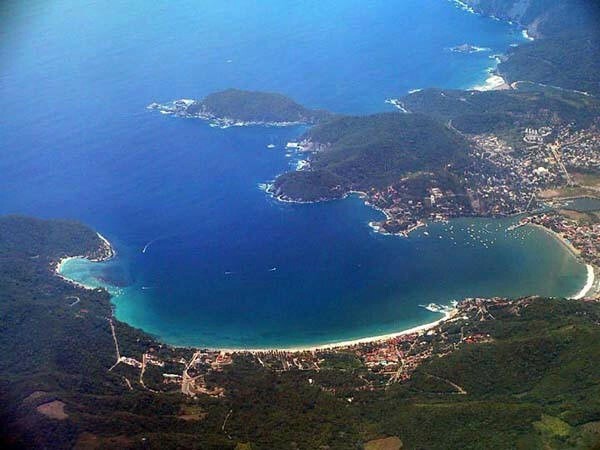 Zihua is located in picturesque Zihuatanejo Bay on the Pacific Coast of Mexico. As the crow flies, it is about 150 Miles North of Acapulco, 300 Miles South of Puerto Vallarta, and just 5 Miles South of the resort town of IXTAPA. Many airlines offer direct flights from major cities in the USA; Flights from other parts of the world connect via Mexico City, with several 40-minute flights daily. When you arrive at the modern Ixtapa/Zihuatanejo International Airport, you are just 15 minutes from La Casa Que Ve al Mar. We are located about 15 minutes North of the Ixtapa-Zihuatanejo airport. You can take a Taxi, rent a Car, or (for the seasoned traveler) take a Bus. TAXI: When you arrive at the Airport, exit “customs” and go to the Taxi booth located straight ahead. Most drivers speak some English. Tell them you want to go to “La Casa Que Ve Al Mar on Playa La Ropa". The cost will be about $25-$30.00 USD, and in the Low-Season you can sometimes negotiate a lower price. On the way back to airport, prices can be negotiated, usually around $15-$20 USD! CAR: If you rent a car (very expensive Mexican Insurance is REQUIRED), ask them to locate La Casa Que Ve Al Mar on a map for you. Leaving the Airport/Car Rental Area, you will travel Northerly on a nice highway; turn left when you see signs for El Centro (downtown Zihua); follow signs for Playa La Ropa; look for the entrance to La Casa Que Ve Al Mar on the left side of the road, and turn up the driveway. If you see the Dolphin Fountain on your right, you have gone a block too far! BUS: You can save about $15 USD by taking the bus to town (catch it just outside of the Airport grounds); when you reach Zihua, transfer to a Taxi for the $3-$4 USD trip to La Casa Que Ve Al Mar (negotiate the price first).